We had a huge amount of entries to the draw for the Hand Pallet Truck which we ran at the recent United Hardware Trade Show in Swords. 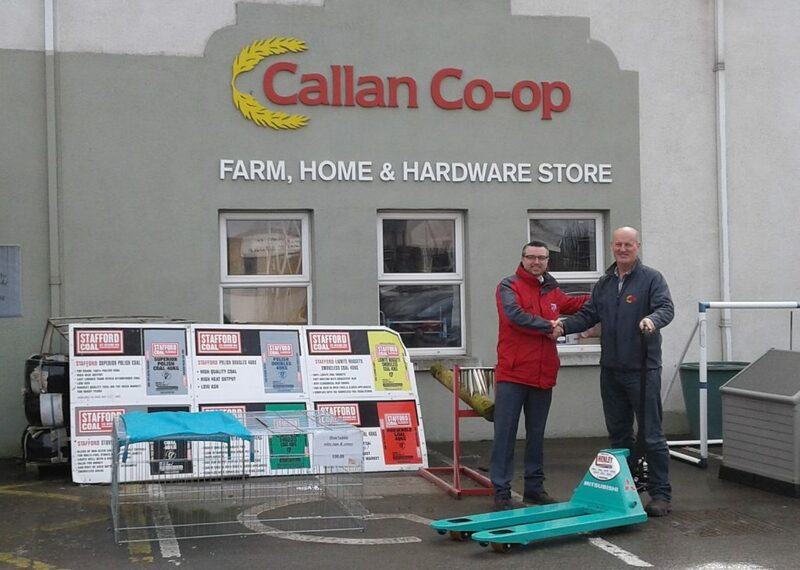 We are delighted to announce that the lucky winner was Jim McHugh, Assistant Manager of Callan Co- Op in Co. Kilkenny; pictured here with Tony Hosten, Henley Forklift. Congratulations to our lucky winner! THE TERGO® URS IS THE IFOY WINNER 2015!!! ©2017 Henley Forklift Group Ltd.